how to convert 4K video? what is the best 4K video converter?? How to Convert 4K Video? What Is the Best 4K Video Converter? 4K image refers to an image hAVIng horizontal resolution on the order of 4096 pixels or more than that, and normally it refers to resolution of 4096 × 2160. The influence of 4K's popularization is far more profound than the development of 1680×1050 to1920×1080. For us, it not merely means a more higher resolution, as a matter of fact, the time of 4K is coming. However, most video editing software cannot support 4K videos at present, and luckily you can have this idoo Video Editor, a wonderful 4K video converter, to edit and convert your 4K videos. idoo Video Editor will enable you to preview and edit the high-definition 4K video, and convert 4K video into formats that can be supported by almost all devices. Let's take a look at a users' common question: I've got a large 4K film. While I just wanna watch and share some parts of it on my iPhone. What shall I do? Here is the solution: set the start and end point and select the format you want, then click "Start" . Here is the illustration of how to operate. 1Run idoo Video Editor, and open "Advanced Video Cutter". Click "Add File" to load 4K video to edit. Set the start and end point of the part you want. See below. 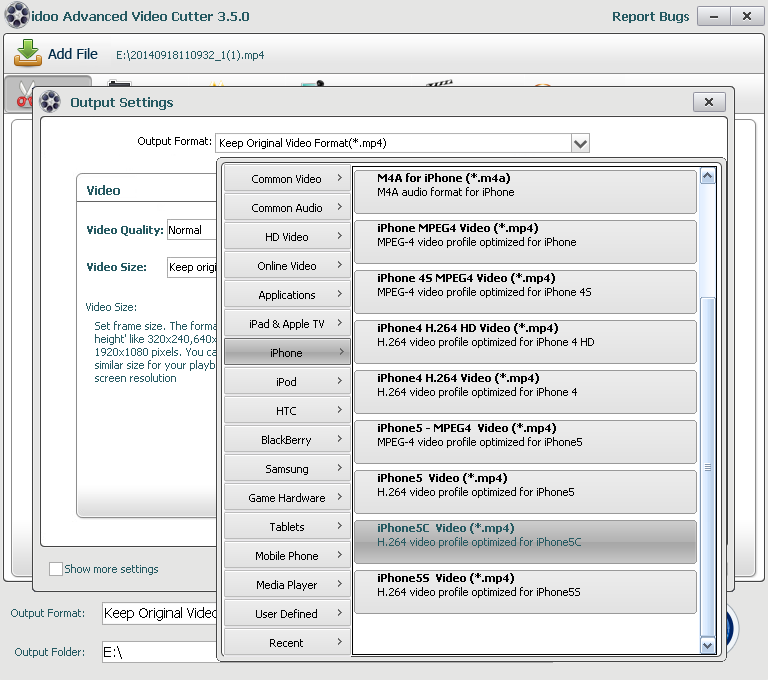 2Click "Output Settings" and select the high-definition format H.264 for iPhone. See below. 3Click "Start" to begin cutting and converting. See below. When it finishes, the problem is solved. 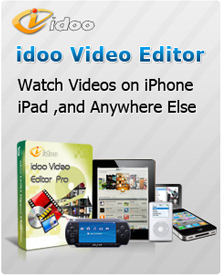 Tips:idoo Video Editor has high-speed conversion and no quality loss.